Advanced observation and surveillance capabilities are vital in today’s battlefield scenarios. 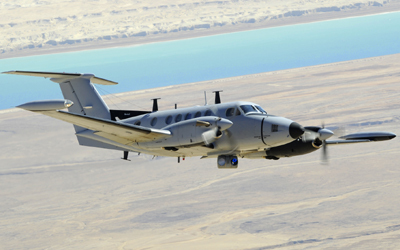 Elbit Systems Electro-optics - Elops’ (Elop) IMINT integrate, surveillance and reconnaissance (ISR) systems support our customers information superiority and battlefield dominance by supplying a continuous real-time flow of ISR intelligence. Today’s platforms, equipped with observation payloads, allow enhanced mission preparation as well as improved crew safety. Elop’s stabilized payloads feature a color TV daylight camera, 3rd generation 3-5mm FLIR Sensor, Eyesafe laser range-finder (ELRF) with laser designator, and automatic tracking capabilities providing high-resolution images. Together they assure outstanding target detection, recognition and identification.